Frontiers Records is pleased to announce an explosive new double live album from legendary rock band, Whitesnake. 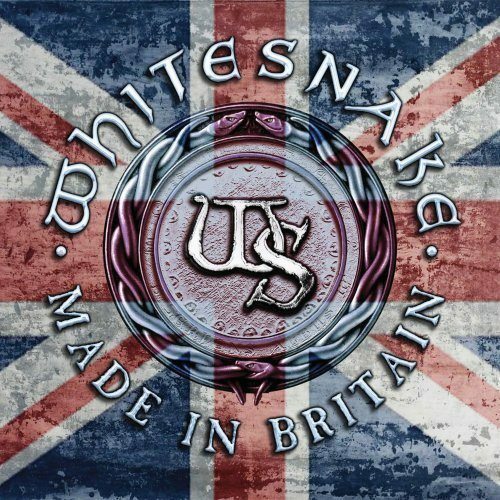 MADE IN BRITAIN – THE WORLD RECORD, will be released as a 2-CD set in Europe on July 5th and in North America on July 9th. During 2011, the mighty Whitesnake embarked on one of their most successful world tours in recent times, performing 96 shows in more than 35 countries, starting in North America in May until the second UK run in December. The request for another live album came from Whitesnake’s incredibly loyal fans – never ones for being notoriously shy about insisting what they want from their favourite musical reptiles. Before heading out on the “Forevermore World Tour 2011”, the decision was made to record every performance on the tour. After spending the early part of 2012 editing and mixing the WHITESNAKE: MADE IN JAPAN DVD, the production team consisting of The Brutal Brothers (Whitesnake frontman David Coverdale and Doug and Mikey Mac), had the task of listening to over 90 shows and 130 hours of Whitesnake performances. Inspired by the performances from the 9 sold-out UK shows and a further 87 performances from around the world, the live albums MADE IN BRITAIN and the accompanying THE WORLD RECORD were born. The recent FOREVERMORE songs shine as brightly as classic Whitesnake songs such as “Is This Love”, “Still Of The Night” and “Here I Go Again”, all performed with feverish energy, encouraged by remarkably enthusiastic audiences from Newcastle to Sao Paolo. Please see below for the full track listing. Musicians on MADE IN BRITAIN – THE WORLD RECORD include David Coverdale (vocals), Doug Aldrich (guitars), Reb Beach (guitars), Michael Devin (bass), Briian Tichy (drums) and special guest Brian Ruedy (keyboards).